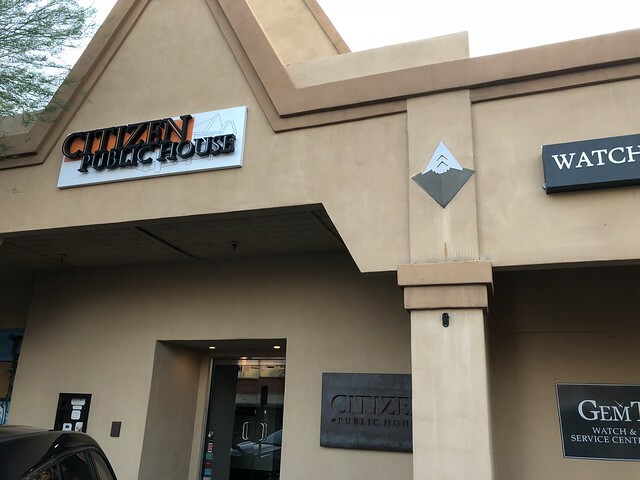 I had read that Citizen Public House was known for its drinks and has been recognized by Esquire, Thrillist, Zagat, and USA Today. 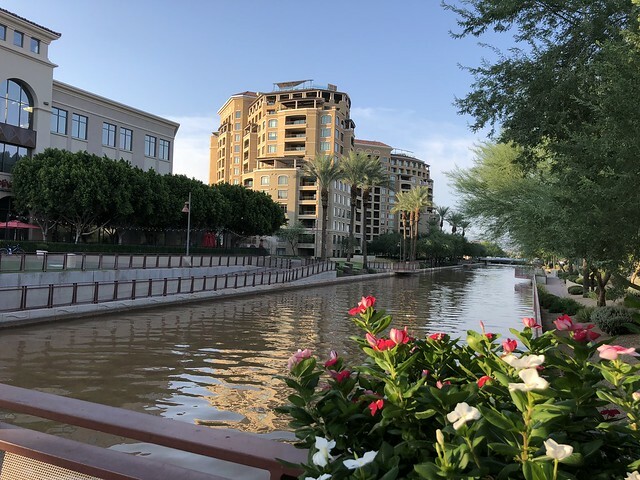 It's located in a beautiful area of Scottsdale, which we walked around and took in the beauty of this area. It's different from the mountains of home but beautiful in its own way. 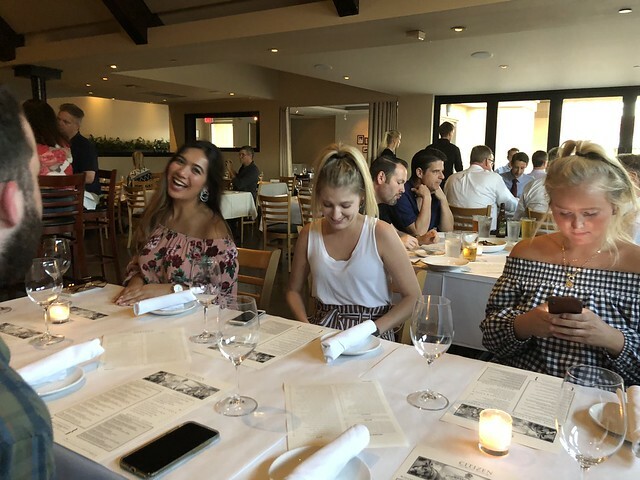 We had the whole gang at this dinner, so that was exciting. 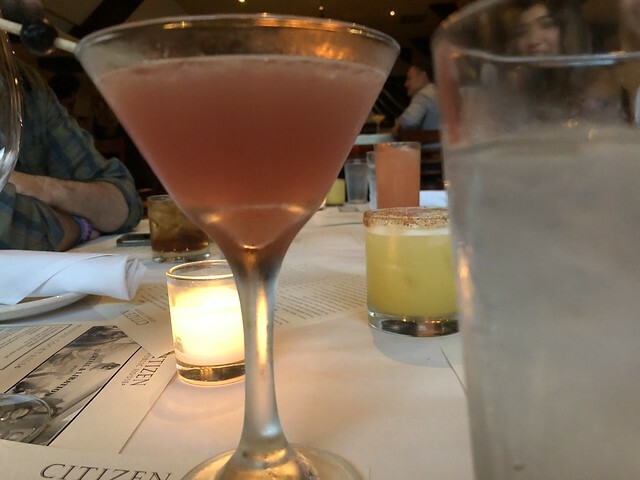 I ordered - I think - one of my most favorite drinks I've ever had: SOCIALITE - Honeydew Absolut vodka, baked cranberry shrub, lime, orange oleo saccharum, up. Give me this every day for the rest of my life please. I ordered a salad to share at the table because I had heard wonders about it. And the hype was RIGHT. 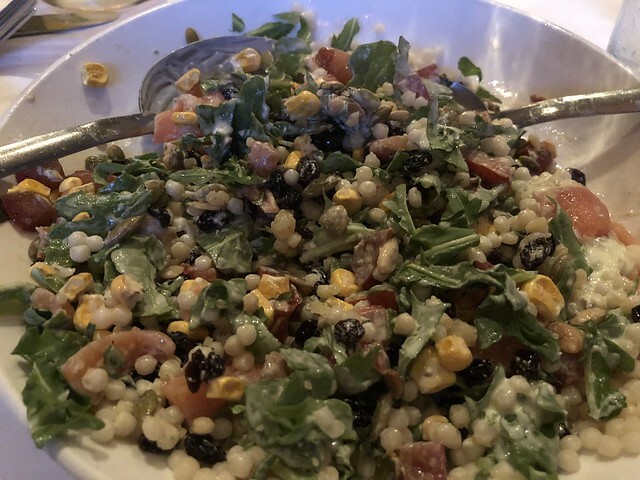 THE ORIGINAL CHOPPED SALAD smoked salmon, couscous, arugula, Asiago cheese, currants, pepitas, dried super sweet corn, marinated tomatoes, buttermilk herb dressing. WOW. My gosh, this was so good. 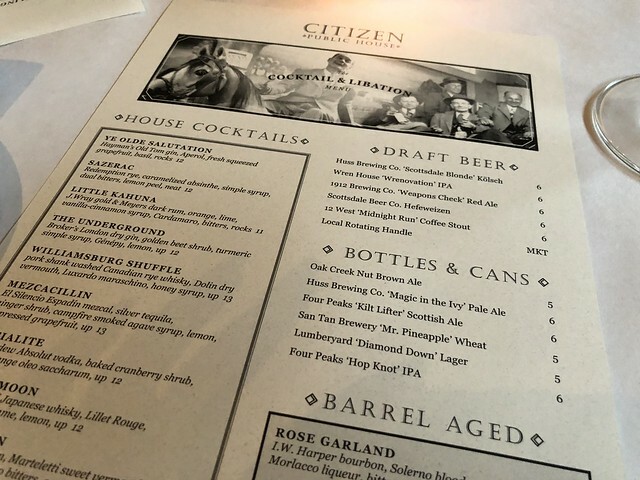 In my food memories go that drink and that salad. 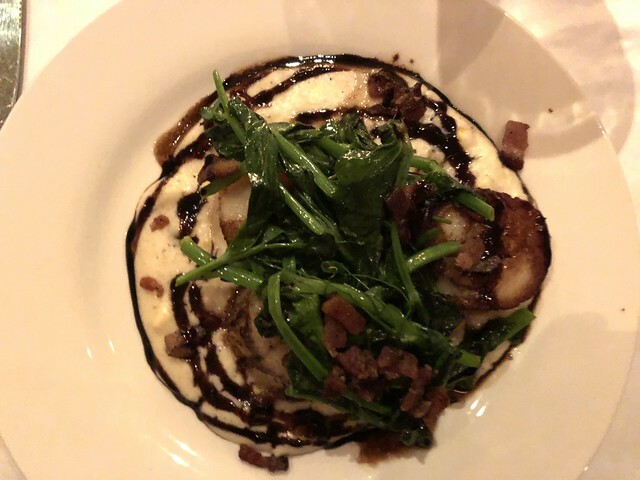 The scallops were good, too, but wow.